This book reflects on the 34-year friendship between a teacher and his students, and the student's words of advice that shaped all their lives. Parents who listen to their insight will discover happier, more respectful and more co-operative children as their own relationships improves. In 1974, at the start of fifth grade at PS289 in Brooklyn, NY, Ann Arthur informed her teacher, Bernard Percy, that she had 'been working on a manuscript' during the summer. 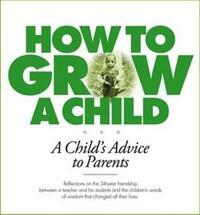 That manuscript, along with the contributions of five other talented students and an introduction by Bernard became "How to Grow a Child". Bernard, Ann, Lori and Linden are still friends. All became parents in their own right. Together they reflect on the power of the teacher-student relationship and the influence their own 'advice to parents' had on themselves as children and parents. 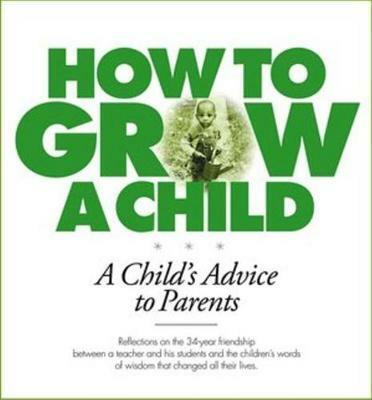 Their original message - now published with their comments and questionnaires developed to help parents understand their children's viewpoint - is as fresh, vital and moving as the day Ann planted the first seed.